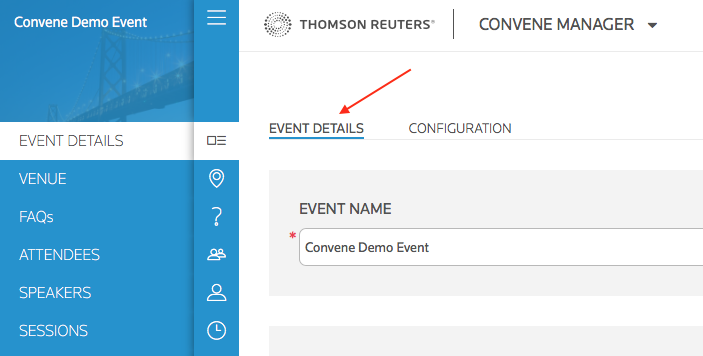 Step 1: To setup this sponsor type, simply add a sponsor to the event. Go to Event Details. Step 2: On the bottom right of the screen, in the App Sponsor section. 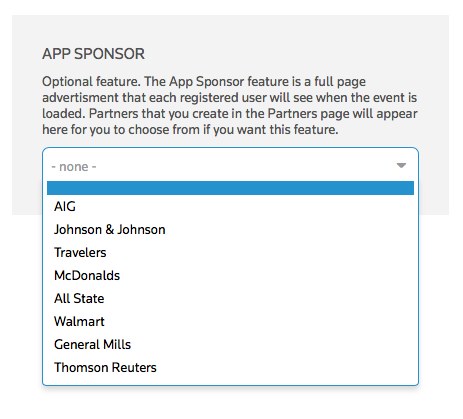 Select one of the sponsors that you previously added via the Partners tab.